If you haven’t heard of Craftsy, it is a website all about craft classes, materials, tutorials, and more. Mostly it is their online classes, which are very well done. You can learn all sorts of awesome skills there. Years ago when I joined Craftsy I checked and they had no paper quilling classes. 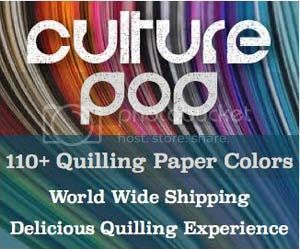 I emailed them about it and they said that they had no immediate plans to add a paper quilling class on Craftsy. Bummer! But the time has come! Cecelia from Paper Zen (author of Pretty Quilled Cards which I will be posting a review about soon!) spilled the news – she has been working with Craftsy to record some paper quilling classes! Woohoo! 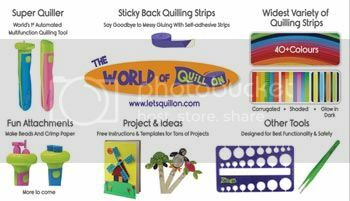 I think this is awesome because not only can those who already love quilling learn some new skills, but even more people who did not know about quilling before will be opened up to this amazingly creative craft! I saw a post from Cecelia on her blog announcing that the paper quilling class on Etsy was live. At the same time I got an email from Craftsy announcing the class. Cool! Cecelia has such a pretty and unique quilling style – open and smooth! The class has 7 sessions which are an average of 20 minutes each (some longer, some shorter). You also get some of the supplies that you need to complete the class, awesome! Here are a few more of their brand new classes if you’d like to take a browse, they are currently up to 50% off! Have fun exploring Craftsy if you haven’t seen it yet, it’s such a great portal for craft learning! *This post contains some affiliate links. If you purchase products or classes through the affiliate links I get a small percentage (at no extra cost to you!). I only link to products that I believe in and/or love to use myself. Thank you for supporting my blog!